Just because Union Station doesn’t offer air travel doesn’t mean commuters should be denied that flying-high feel. Cue the creative concept behind this epic OOH takeover from WestJet, Publicis, and Media Experts. 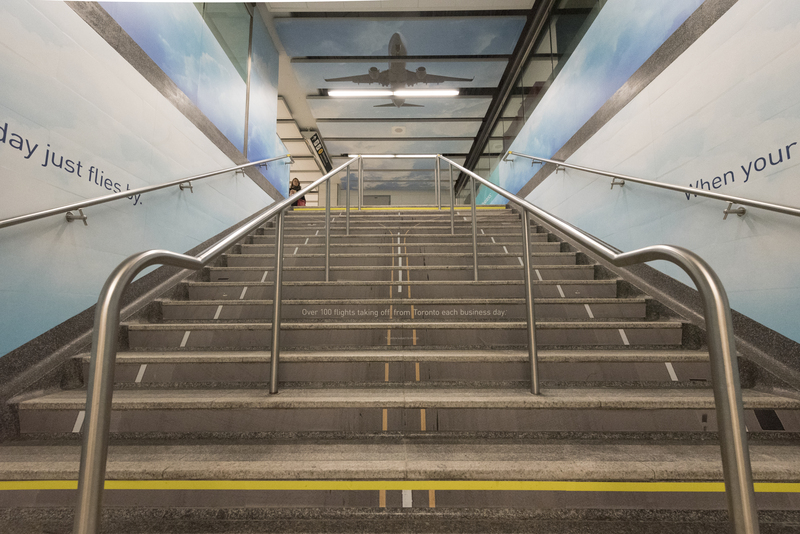 From transforming turnstiles into suitcases and staircases into runways to installing actual airport benches, every detail has been thought of to give users that airport ambiance as they stroll through one of Canada’s busiest transportation hubs. Read more from Media in Canada.